Remember that these animals are wild. If you see them during your visit, do not touch or pick them up. Take photos from a distance and appreciate seeing them in their natural habitat. This bird is one of three Australian mound-building birds. The incubation mound, which the male makes from soil and leaf litter, can reach ten metres in diameter and two metres in height. Newly hatched young dig out of the mound and are immediately on the hunt for insects, native fruits and seeds. The Australian Wood Duck is the least aquatic of all Australian ducks and is commonly seen grazing on grass and herbs. They nest in tree hollows, sometimes up to a kilometre from the water. Male and female Australian Wood Duck pairs form very strong bonds, often remaining with the same mate for life. This semi-aquatic lizard is a powerful swimmer and can remain underwater for up to one hour. Water dragons feed on a variety of insects, small vertebrates and plant matter and will defend resources in its territory by battling rivals. The water dragon can live up to 15 years. Although native to woodlands and open forests, the Noisy Miner is a common sight in parks and gardens, feeding on fruit, nectar and insects. Despite their moderate size, these outgoing birds unite in territorial groups to mob predators such as hawks, kookaburras, snakes and goannas. There are over 1,600 known species of native bees in Australia. 11 of these species are stingless. 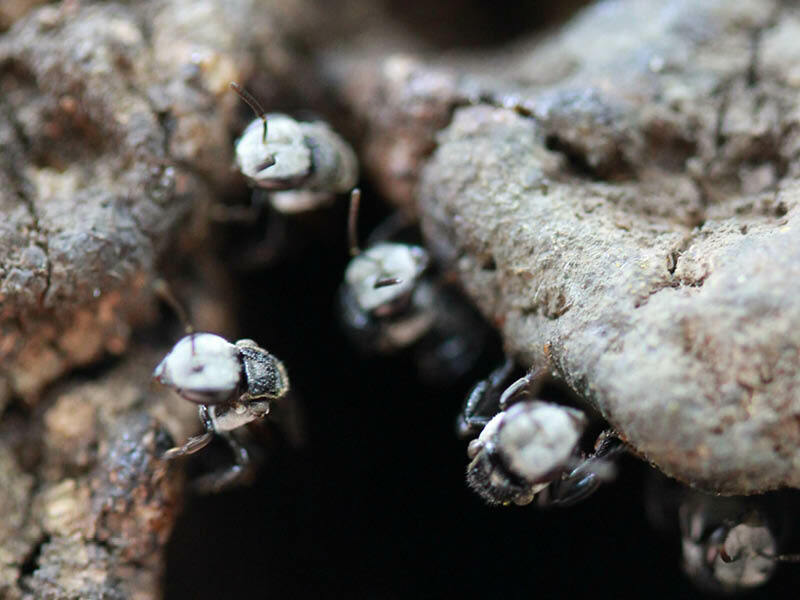 Stingless bees are harmless to humans and can be great pollinators for backyard gardens. Instead of honeycombs, stingless bees store honey in clusters of small pots which look like bunches of grapes.